The book Inhuman Land. Searching for the Truth in Soviet Russia, 1941-1942, which is the title of the English translation, was published by the New York Review Books publishing house. Inhuman Land belongs to the canon of the most shocking books about the suffering brought to the world by the communist utopia of the Soviet apparatus of violence and exploitation. Józef Czapski gives voice to the murdered and, on their behalf, expresses their disagreement with the horror that is taking place. One of the first ones to appreciate the importance and strength of Wspomnienia starobielskie (“Memoirs of Starobielsk”) included here were Arthur Koestler and George Orwell. The latter, inspired by Czapski's experiences, planned to write a book about Katyń. 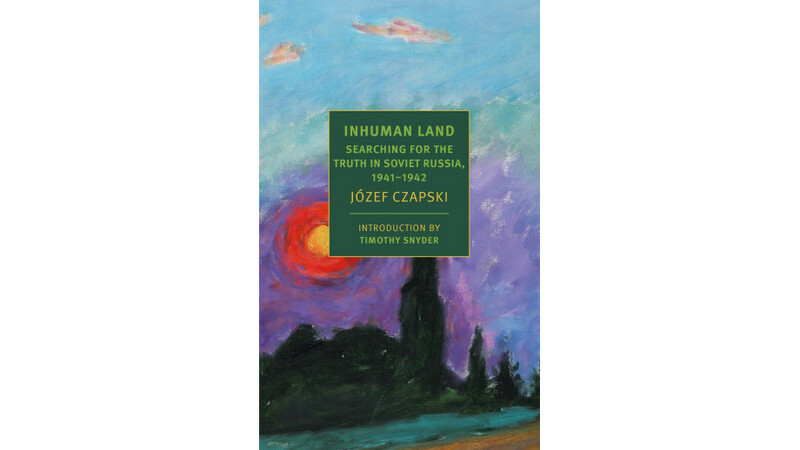 Norman Davies, in turn, wrote about Czapski's work, “Inhuman Land is a blood-curdling account of life and death in the Gulag. It was written by an artist gifted with an extraordinary sense of observation, great talent, and exceptional sensitivity. Józef Czapski's book is a classic that should be placed next to The Gulag Archipelago by Solzhenitsyn or Inny Świat (“A World Apart”) by Herling-Grudziński". Translator Antonia Lloyd-Jones is the winner of this year's Transatlantyk Award. She studied Russian and Ancient Greek at Oxford. She has also twice received the prestigious Found in Translation Award for the translation of Paweł Huelle's Ostatnia wieczerza (“The Last Supper”) in 2009, and for her lifetime body of work in 2012.